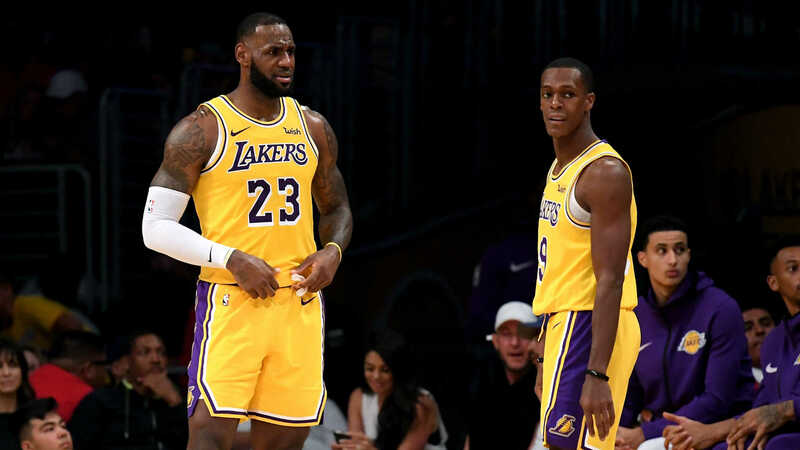 LeBron James is unlikely to return for the Los Angeles Lakers on Thursday, but Rajon Rondo could be back to help Luke Walton's depleted side. Superstar James has missed 14 games since straining his left groin on December 25, with the Lakers going 5-9 since he and Rondo were injured. Head coach Walton says James is making progress but does not foresee him taking to the court against the Minnesota Timberwolves. "I haven't seen him do contact yet, so I don't feel as confident," Walton said after Monday's 130-111 loss to the Golden State Warriors. "But I know you know how serious he is about his rehab. So he's doing everything possible and we've talked. "I know he's dying to get back on the basketball court, but he also knows that getting healthy is the top priority. "So whenever that day comes, he'll be back out there." "I think Rondo will play Thursday as long as he continues to move with no setbacks until then, but that will be something that we'll keep pushing him and we'll re-evaluate each morning," Walton added. With Lonzo Ball also out for four to six weeks with a sprained ankle, Brandon Ingram started at point guard and had three assists but also two turnovers against the Warriors. Speaking after the game, Ingram said he was was eager to see Rondo's impact - beyond his 8.4 points, 6.7 assists and 4.4 rebounds in only 14 of the Lakers' 48 games this season. "It gives us a leader, a leader on the basketball floor," Ingram said of Rondo. "It puts us in our spots on the offensive end. Pushes the pace, he can score the basketball. And it just makes our team better."